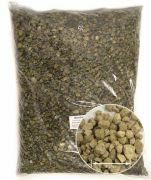 GREEN CAMEL stores excess water in granules and free it again as soon as the soil is dry. Up to 20% more water can be stored than with our standard bonsai soil. GREEN CAMEL is non-toxic and fully biodegradable. 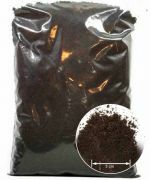 This soil with low nutrient content is used for seedings and cuttings. Our young plants soil is a spezial mixture of Akadama, lava and alumina. It gives young plants particularly important nutrients that they need for a healthy growth. Simply unpack and use for planting or repotting! Brand Akadama – Clay soil from Japan, hard. Small grains (1 - 5 mm): the most common granularity. Structurally stable, it guarantees a correct air and water supply to the root system. Brand Akadama – Clay soil from Japan. Middle grain (5 - 10 mm): to be mixed or to be used as drainage layer. This granularity is frequently employed fort he cultivation of Yamadori and pre-bonsai. Large grain (10 - 25 mm): coarse grain. 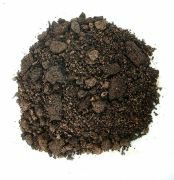 This extra fine granularity is particularly suitable for Mame and Shohin and as layer to cover the soil. This product can also be used in shrimp tanks: PREMIUM SHRIMP AKADAMA - extra fine and extra hard. This Akadama is burnt in the oven at 1200 °C. This makes it harder than the normal Akadama soil. The Japanese Vitamin-soil Kiryu is particularly suitable for conifers, as supplementary substance for soil mixtures, or pure for weakened conifers. With this soil you will noticeably promote your bonsai’s growth. You will be amazed by this soil! Kanuma is a special Japanese Bonsai Soil for azaleas or other Rhododendron-plants. 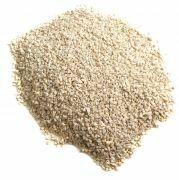 The extra fine grain has a pH between 5.2 and 5.6 and is particularly suitable for cuttings and young plants. Kanuma is a special Japanese Bonsai Soil for azaleas or other Rhododendron-plants. Being very acid makes it particularly suitable for azaleas, whose pH value is comprised between 4.5 and 5.0. This soil is a special mix for maple-trees. Although it stores nutrients and water, it is very porous. This special Maple-Soil has a lower pH value compared to the other soils, which allows an optimum growth. Special balanced mixture for conifers. Very porous soil with a high amount of Kiryu for an optimum growth. The amount of granulate and Akadama guarantees a good root ventilation and prevent waterlogging. Ketotsushi is a Japanese black turf. This solid turf is primarily used to fix plants on rocks in Bonsai rock planting. This moss is used in marcotting, Nebari formation or simply to keep the ground and roots wet. A new type of substrate with high content of shredded coconut fibres. It is structurally stable and guarantees an optimal air supply. Moreover, waterlogging is efficiently prevented thanks to Boncoco’s structure. To be added to the potting soil (it provides a good ventilation to the mixture) or as granulate for evaporation bowls or saucers. 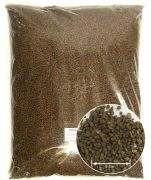 The coarse grain lava is ideal for soil mixtures in larger bowls. This black lava rock comes straight from Japan. It is ideal to be mixed with the potting soil or to be placed in your bonsai’s saucer in order to obtain an optical embellishment. Minimal unevenness (that makes the pot “wobbling”) will then be compensated. Crushed pumice can also be added to the bonsai soil mixture to increase the permeability. As a drainage layer on the pot bottom, it is also ideal for lightening the soil with its high air permeability. 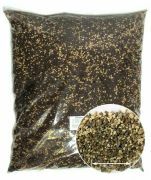 With this high-quality substrate mixture, you can upgrade your existing soil, thus ensuring a fast rooting and development of your bonsai garden. Should you order a bonsai garden, every sack will only be charged 10,- €. Decorative crushed pumice from Greece, grey-white. For Zen gardens, gravel surfaces, roofs u.v.m.